Quick Facts, Nov 2009. This plain text version of the 3rd edition of Quick Facts contains all citations for the facts in the published edition, as described above. 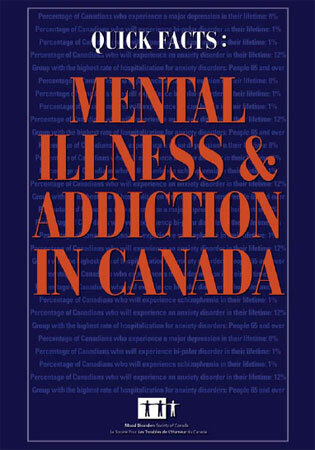 For researchers, students – or for those who wish to access the resources for themselves and learn more about mental illness and addictions. Read more… (PDF English).